Tablet/e-Book training prior to the start of school. 1st Year induction day – students attend school without the other year groups. They will meet with their year heads, class tutors, their ‘Caras’ and the senior prefects who organise a tour of the school. Our Home-School Liaison teacher plays a special role in student induction. 1st Year students receive no homework for the first two weeks. Bonding afternoon in the first fortnight. Information Booklet – prepared by our own students. Our ‘Cara’ system – to help new students overcome feelings of anxiety, they are introduced in groups to senior students who meet with them over the course of the first term to offer friendship and advice. Coffee morning for new parents. Handbook for parents – produced by our Parents’ Association. The support of our staff as we help your daughter settle into her new school. Art, Business Studies, Civic Social Political Education (C.S.P.E. 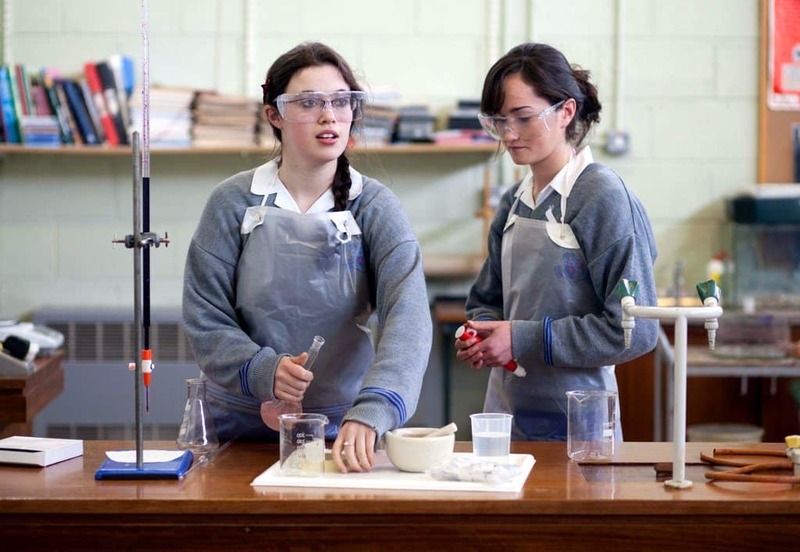 ), English, French, Geography, German, History, Home Economics, Irish, Maths, Music, Religious Education & Science.